Where Is the Murderer of Ataollah Rezvani, a Baha’i Resident of Bandar Abbas? Justice for Iran, August 22, 2016: Three years since the murder of Ataollah Rezvani, a Baha’i resident of Bandar Abbas, with a bullet to his skull, law enforcement and judicial authorities still refuse to investigate the murder, and his family is still under severe pressure. Since the pursuit of justice and human rights is the right and duty of all citizens, Justice for Iran is asking everyone to make a brief phone call to the authorities or to individuals connected to the case, and ask about the facts and fate of this case. Three years ago, on a sizzling night, the 24th of August, this Baha’i citizen left his house with the intention of stopping-by at the home of a friend who was staying abroad, but he never returned. Karim Mirzaei, the caretaker of Rezvani’s friend’s home, is the last individual who saw him alive and in a phone conversation with someone unknown. At first, Mr. Mirzaei was a suspect in the killing. However, he has disappeared, and to this day there is no news of him, since telling the Rezvani family’s lawyer about the Intelligence Office’s threat warning Mr. Mirzaei against talking to him. The 17-year-old may also be a victim in this case. In the last three years, officials have expended all their efforts to not find the killer or killers of this Baha’i citizen, whose body was found with a bullet in his skull, inside his car alongside a road, just out of town. Although no weapon was found at the murder scene, Javid Amani, the Bandar Abbas court’s special homicide investigator, has long insisted on making the family believe that Rezvani committed suicide. No item but Rezvani’s phone, which contained information regarding his last call, was missing. Nonetheless, the police told the family that a personal motive or robbery was behind the homicide. Rezai, the police officer in charge of the case, initially started an extensive investigation, but he suddenly stopped. Despite repeated promises by the Bandar Abbas Public Prosecutor and the Bureau of Investigation, they never attached a printout of calls and mobile messages from Rezvani’s stolen phone to the case. Similarly, no research was done with respects to urban traffic camera images on routes where the victim drove that afternoon. Instead, investigators pressed the family to agree to accept blood money 1, to sign a waiver from the government, agreeing that they would not pursue the case, though the case has been closed. When the family refused to consent, they were warned that they must bring the killer or killers to the Bandar Abbas court within two weeks. The lack of investigation into the Rezvani’s murder and the impunity enjoyed by the perpetrator(s) increases the likelihood that it is a government killing. Ataollah Rezvani, 53, a Baha’i citizen, was expelled as a mechanical engineering student from university during the Islamic Revolution in 1980, because of his Baha’i faith. He later became the owner of a water-pump equipment shop. Rezvani was a well-known member of the Bandar Abbas Baha’i community, and from the mid-80s until 2008, before the crack-down Iranian Baha’i organizations, belonged to the “Servants of Bandar Abbas Committee”. At the voluntary post, he attended to everyday Baha’i community affairs, especially regarding marriage, divorce, death and financial disputes. Before his murder, in a letter in response to the anti-Baha’i hate speech of Bandar Abbas’s Imam Ali Na’imabadi and two others, Ataollah Rezvani asked the Imam to respect the rights of Baha’i citizens and to refrain from inciting hatred against them in his Friday sermons. He also warned law enforcement, in a complaint, that the sermons of the Imam against the Baha’is would lead to tension and bloodshed. Ataollah Rezvani’s case is not the first instance where judicial authorities have asked a family to stop pursuing justice, consent to incomplete investigations, allow impunity for a perpetrator, or accept blood money from the state fund. Previously, such as in protests after the 2009 election, political dissidents were killed and officials forced their families to receive blood money and waive their complaints about those responsible for the deaths. The security forces’ treatment of the Rezvani family indicates a strong likelihood for the government’s involvement in this crime. For the last three years, security forces have tried to prevent a funeral and memorials for Ataollah Rezvani. In October 2015, Navid Aghdasi, one of Mr. Rezvani’s cousins, was charged by the Ministry of Intelligence for having spoken to the media about the case. He is currently awaiting a court hearing this month. In March 2016, the optometry shop of Rezvani’s son, Cyrus, was sealed by the command of Captain Hassan Zand, chief of the Office of Public Property in Bandar Abbas. Since Cyrus Rezvani had the legal responsibility to follow-up in the murder case on behalf of his family, this action by Captain Zand could be a form of intimidation. Justice for Iran’s research shows that the lack of investigation and disruption of due process by Javeed Amani, the Bandar Abbas second branch Prosecutor’s investigator, and by Saeed Asadi, the Bandar Abbas prosecutor, directly violated the rights of the Rezvani family. 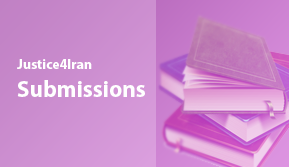 Additionally, President Hassan Rouhani; head of the Judiciary, Sadeq Amoli Larijani; head of the Office of Human Rights, Mohammad Javad Larijani; and Parliamentarian, Ali Motahari all displayed a complete lack of attention to the pleading letters of the Rezvani family and neglected to carry out any research about the performance of the judicial authorities in Bandar Abbas with respects to basic tasks regarding the human rights of the family. 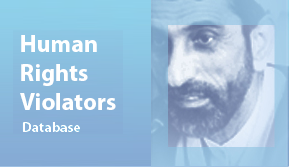 In the letter of protest Sahba Rezvani, Ataollah’s sister, addressed to senior officials of the Islamic Republic, there was a long list of violations against the most basic rights of the Rezvani family members. In this letter concerning documents and evidence, it becomes apparent that the murder of Ataollah Rezvani was far from being the only violation of their rights; it was only the most violent in the chain of persecutions against different members of the family, which had been targeted due to their Baha’i faith. Among the members of the family, there have been two cases of members being fired from work, one case of a school refusing to register a young member, prevention of post-secondary education for four members, the arrest and incarceration of four, and the closing and the sealing of two businesses belonging to members of the family. Three occasions of raids on homes and confiscation of all religious and personal equipment, documents and belongings are also mentioned in this unanswered letter. Bani Dugal, principal representative of the Baha’i community to the UN, stated that since 2005, at least nine Baha’is in Iran have been murdered or died under suspicious circumstances. Fifty-two other Baha’is have been physically attacked by government agents, plainclothes agents or unidentified assailants, but not a single perpetrator has been prosecuted. Previously, in Bandar Abbas in 1986, Iraj Mehdinezhad, a Baha’i citizen, was stabbed by a knife and killed by unknown individuals at his residence. The Bandar Abbas Information Office urged the Mehdinezhad family to refrain from pursuing the murder case. Iraj Meydani is among the Baha’is who were attacked in Bandar Abbas in recent years. Meydani was stabbed at his physician’s practice, and only quick medical attention saved him. His assailants were never identified or prosecuted. On the third anniversary of the murder of Ataollah Rezvani, Justice for Iran, while introducing the human rights violators in this case, is also publishing their dossier. It is calling for an independent judicial investigation into this case, to determine the truth and to hold the perpetrators of the murder of Ataollah Rezvani, as well as the officials who have covered up this crime, to a normal standard of justice. Since the security pressure has made it very difficult for the Rezvani family to pursue the case, Justice for Iran is asking all human rights defenders and responsible citizens now, by devoting five minutes of their time to a phone call, to perform their duty to realize justice and human rights. Please call the following authorities, keeping in mind that three years have passed since the murder of Mr. Rezvani. Tell them you are interested in finding out what stage the case has achieved. Ask them why authorities have put the security and livelihood of his family and relatives have under pressure, rather than bringing his murderers to justice. If you are concerned that your phone number might be recorded and tracked, you can call from an unknown number or through a VOIP phone.